New Evangelizers is excited to announce that the brand new Rosary Army App (iOS Ver. 11.0 or higher only) is available for Order on iTunes now. Android version to be developed next. After you get this app, you’ll have instant access to nine newly recorded audio Rosaries for your iOS mobile devices, beautiful custom artwork for use in meditating upon the mysteries of the Rosary and more. 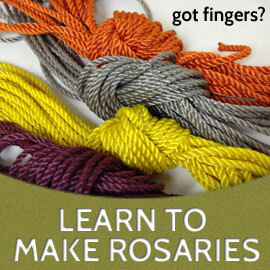 Visit app.rosaryarmy.com for the complete list of features designed to help you pray the Rosary more devoutly! ONE amazing app accomplishes TWO great goals! Second, 100% of all proceeds will go directly to sustaining the longevity of this ministry. Unfortunately, due to the age of the older audio rosary files found below, the audio quality has started to decline and are now experiencing random skips in the recording that are beyond repair. We will leave them available here for you regardless. NOTE: Rosary Army’s audio, video, or other content may not be copied, reproduced, re-edited or incorporated into any online or mobile application or any other distribution method (such as YouTube, Vimeo, etc.) without express written permission from New Evangelizers. Any use of Rosary Army’s audio and video files by other third-parties will be subject to copyright violation penalties. All media is produced and Copyright (C) 2018 by New Evangelizers.